The printer can print professional colour documents for up to 50 per cent less cost per page and energy use than competitive laser printers. Friday, May 01, 2009: HP India has launched the Officejet Pro 8000 printer that is based on the HP Scalable Printing Technology. Designed for small and micro business users, the HP Officejet Pro 8000 Printer includes fast print speeds, embedded wired networking and device management software. The printer can print professional colour documents for up to 50 per cent less cost per page and energy use than competitive laser printers, using HP Officejet inks. Additionally, this device offers features automatic two-sided printing, HP Smart Web Printing, and easy cartridge recycling through the HP Planet Partners programme. Print professional, durable colour documents that resist water and dry quickly with newly formulated HP Officejet pigment inks, specifically designed for business use, and plain papers with ColorLok technology. HP Officejet Pro 8000 offers print speeds as fast as 35 pages per minute (ppm) black and up to 34 ppm colour and laser-comparable speeds of up to 15 ppm black and up to 11 ppm colour after first page. Use HP Easy Printer Care Software to easily monitor, maintain and troubleshoot the HP Officejet Pro 8000 Printer. 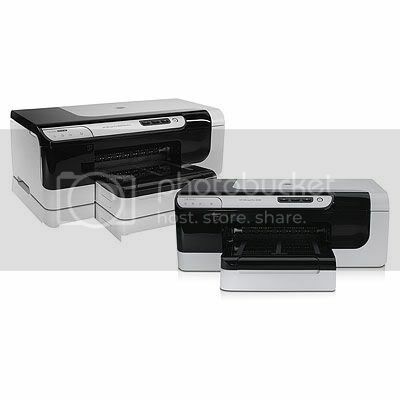 HP Officejet Pro 8000 Printer is available at Rs 10,154.